Curcumin Megasorb is a highly bioavailable curcumin formula, providing curcumin as Curcumin C3 Complex®, a unique, patented blend of curcuminoids. Curcumin Megasorb also features BioPerine®, a black pepper extract, studied for its ability to enhance the bioavailability of nutritional compounds.  Each tablet contains 500mg of standardised Curcumin C3 Complex®. Curcumin is the most medicinally active part of the spice turmeric. Typically, curcumin is not well absorbed. Therefore, the patented black pepper extract, BioPerine®, is added to greatly enhance the absorption of the curcumin. Curcumin Megasorb contains Curcumin C3 Complex®, a patented curcumin complex with a unique composition ratio, providing curcumin, demethoxycurcumin and bisdemethoxycurcumin, that are collectively known as curcuminoids. The Curcumin C3 Complex® in Curcumin Megasorb is a very high quality, consistent, safe and efficacious form of curcumin that has been used extensively in a variety of research initiatives and institutions. Studies continue to show the power of curcumin to help support the inflammatory processes and pathways within the body. Curcumin has the ability to control inflammation in the body, across multiple pathways, all at the same time. It is known to help reduce pain, inflammation and stiffness. It may also help to protect and maintain the health of joints and bones, and their flexibility. Nuclear Factor k-B (NF-kB) is the master regulator of inflammation in the body. When it is activated, COX-2 (Cyclooxygenase-2), an enzyme responsible for inflammation and pain, is turned on which leads to inflammation. Curcuminoids have been shown to be an inhibitor of NF-kB and therefore COX-2. Conventional non-steroidal anti-inflammatory medications can be harsh on the stomach lining. In contrast, curcumin is gentle on the stomach and suitable for sensitive individuals. Curcumin has also been shown to be a potent free-radical quencher, and may also prevent the formation of free radicals. The curcuminoids have been shown to help support a healthy immune system. Why are standardised extracts important? Standardised extracts are a guarantee that the potency and amount of active compounds are the same as those advertised on the label. This is particularly important when choosing a botanical supplement. Curcumin Megasorb is non-GMO, gluten, wheat and dairy free. Curcumin helps to support inflammatory processes within the body. Provides curcumin as C3 Complex®, a patented curcumin complex with a unique composition ratio, providing curcumin, demethoxycurcumin and bisdemethoxycurcumin, collectively known as curcuminoids. C3 Complex® is a very high quality, consistent, safe and efficacious form of curcumin that has been used extensively in a variety of research initiatives and institutions. Curcuminoids help to support digestion. Curcumin helps to support the health of the liver. BioPerine® is a patented black pepper extract, which has been studied for its ability to enhance the bioavailability of nutritional compounds. C3 Complex® and BioPerine® are trademarks of Sabinsa Corporation. Take 1-3 tablets daily, or as directed. If pregnant, breastfeeding, taking medication or have a medical condition, consult a healthcare practitioner before using this product. Individuals with gallstones or obstructed bile passages should consult a doctor before using this product. Can’t really explain but have felt much better since taking this, one in morning and one at night and I feel much more balanced. Only new to this product but have noticed an improvement in my joints.